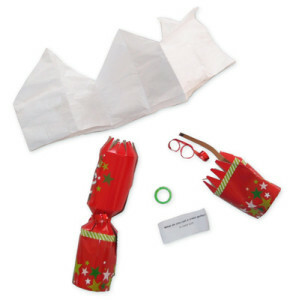 Christmas dinner wouldn’t be the same without Christmas crackers. We’d have no coloured paper crowns to wipe IQ points off our appearance, no unidentifiable plastic objects to disappoint us, and fewer appalling jokes to make us hate the English language. Yet somehow they remain a mandatory component of the festive table setting. Due to the inherent nature of the product, it’s hard to know what you’re getting before you buy. Some turn to the cheapest option available, reasoning that all crackers are terrible anyway. 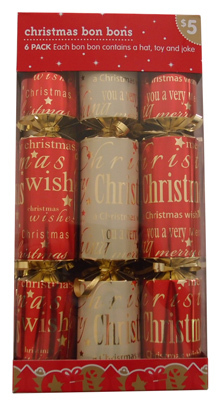 Others purchase ‘luxury’ or ‘deluxe’ crackers, in the hope that the contents will be worth not-throwing-out for more than forty-five minutes. Others, believe it or not, have no strategy at all. For this reason, we have created a comprehensive* buying guide. We visited seven major retailers and purchased the cheapest box of crackers available from each. We then selected two crackers at random from each box, pulled them apart and recorded our experiences. The results may shock you mildly. * ThermoCow does not compare the entire market. At 62.5 cents per cracker, Coles’s offering is the first of our ‘budget’ crackers - and it shows. 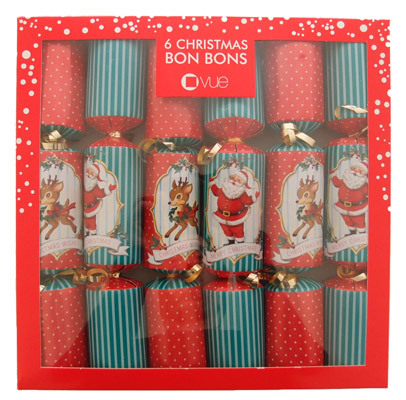 The cracker is diminutive, and its design reminiscent of the cheap wrapping paper you own but are reluctant to use because you would look broke. It tears well and makes a loud report upon its rupture (listen above), but from there things fall apart. 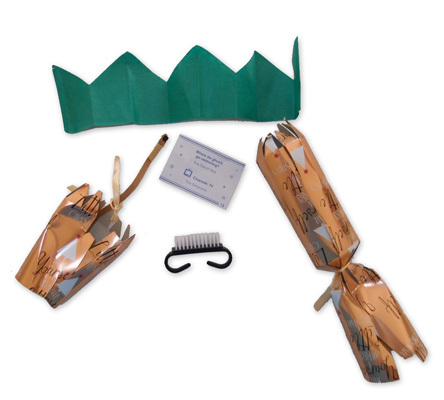 The crowns are plain, white, pointy rings of baking paper, and oversized—on our test subjects they fell over the head to resemble a Jacobean ruff. And the toys? Put it this way: in Toy Story, if you leave the room, a green plastic ring and a hair clip will not come to life. i.e. they are not toys (although to be fair, they only claimed to be a “novelty”, which seems to be retail jargon for “surplus choking hazard”). What do you call a crazy golfer? This joke works everywhere that golfers are colloquially called “putts”. That is, nowhere. Buy this if: all you’re after is volume. As you would expect, the Woolworths offering is not dissimilar to Coles. It’s another undersized, affordable, affordable-looking cracker. Our cracker experience, however, was vastly different. The construction is admirable, and the grip comfortable. The toys range from “actual toy” to “ rather useless stationery”, with a well-weighted spinning top on one hand and a plastic paperclip on the other. Such inequity will undoubtedly cause squabbling at the Christmas table, but there is a lesson there. Life is like that and everyone should be happy for the people who got the good toys, just like we are all happy for Clive Palmer. In our testing we guessed “penicillin”, which indicates the joke makes sense, is predictable, and yet still has room to surprise. For a cracker joke, that’s pretty much the pinnacle. 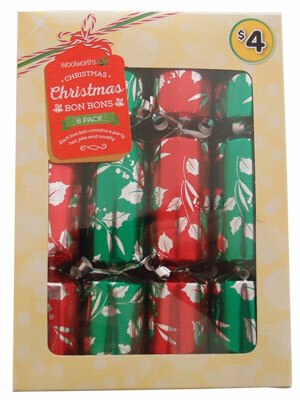 WARNING: Before purchasing any Woolworths crackers, please be advised that one of our crackers contained two crowns. 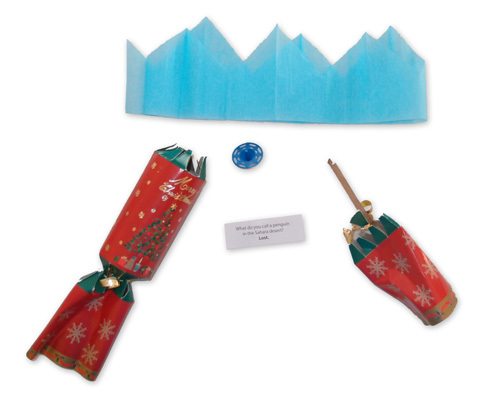 We assume this means there is a cracker out there somewhere that is without a crown. 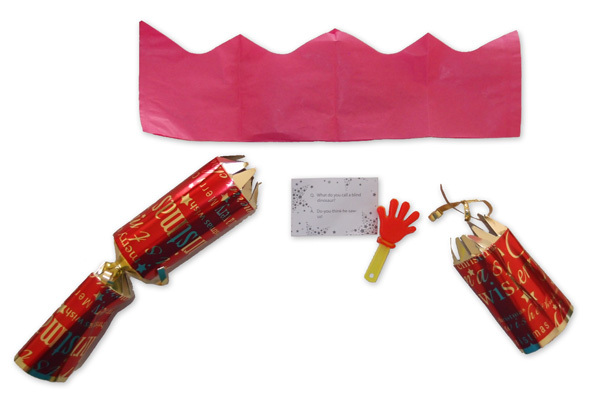 If you get this cracker, we’re very sorry. 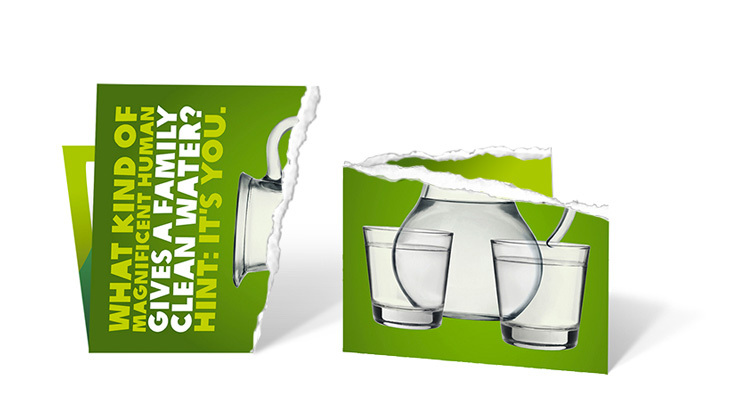 We have kept the crown for you, and are happy to arrange a time for collection. Buy this if: You can’t be bothered reading the very next item on this list, which is just as good and slightly cheaper. As the cheapest offering in our round-up on a per-cracker basis, we had our reservations going into testing. Would the cracker crack? Would the crown be head-shaped? Would the jokes be complete, or cut off halfway like a Fantale wrapper? Our snobbish fears were ultimately misplaced. The hat was a comfortable fit and featured a pleasing high-frequency sawtooth design. Impressively, the “jumping frog” toy kept our test subjects entertained for roughly one minute (a feat equalled only by the Woolworths spinning top). How do snowmen travel around? If you didn’t smile at this, read it again. Sure, most of us have heard this joke or some variation before, but just spend five or ten minutes picturing a snowman trying to use an icicle to get around! Where would he even start? It’s an absurd image and well worth the effort to conjure up. Buy this if: You’re actually reading this guide to find out which crackers you should buy. What do you call a blind dinosaur? Doyouthinkhesaurus! Insulting. We should all recall from our childhood joke books that Doyouthinkhesaurus is a one-eyed dinosaur. The blind dinosaur is Iknowheneversaurus. Incidentally, a one-eyed dinosaur’s dog is Doyouthinkhesaurus Rex, the dinosaur crossed the road because the chicken wasn’t invented yet, and you can’t hear a pterodactyl going to the toilet because the ‘p’ is silent. We know all the dinosaur jokes, Big W, and we know when you tell them wrong. 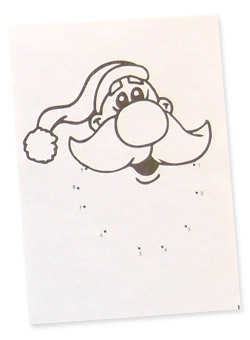 Do not make this mistake in next year’s crackers. What’s worse than a giraffe with a sore neck? A centipede with sore feet. Even more insulting. There are many, many things that are worse than a giraffe with a sore neck. It’s just a sore neck. What about a giraffe with lung cancer, or a giraffe whose only calf was taken by lions, or a giraffe with a debilitating nutritional disorder caused by poor zoo management. This is the worst kind of joke, because it makes you imagine every awful thing that a giraffe could go through. Or, if you’re more creative, you might think of every bad thing that could happen to any animal, or to you or your loved ones. And when you’re done imagining all of those horrific things, the joke reveals that the actual worst thing in the world is just a centipede with sore feet. Buy this if: Don’t buy it. On the expensive side of mid-range, the Bargain Trendz cracker appears to have sunk its entire budget into high-GSM cardboard, as this thing is virtually indestructible. If you pull three sets of eight Bargain Trendz crackers, you’ll build and tone the muscles of your arms, back and core. You will also be left with 24 piles of hideously disappointing garbage. What do you think it is, kids? Make what you will of this breath mint-based pun, but the box promised two jokes per cracker, and in our testing we found only one in each. Perhaps the second joke is on the buyer? Buy this if: It’s Christmas Day and you don’t have any crackers and you are in Newmarket Plaza. Premium in price only. 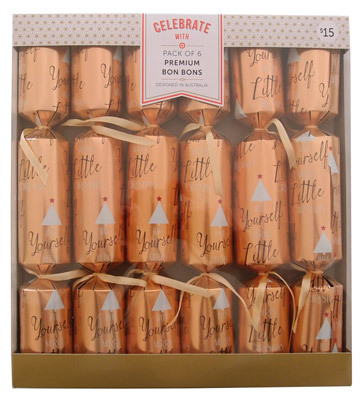 Target’s “Celebrate with Pack of 6 Premium Bon Bons” cuts every corner imaginable, starting with an undersized snap that results in frequent misfires. 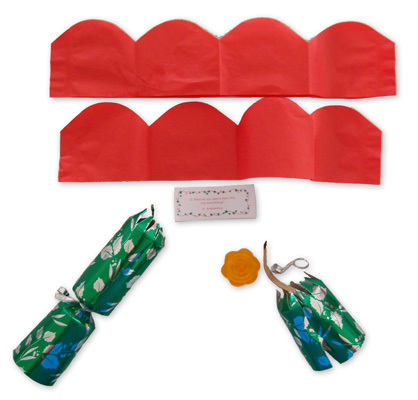 The crown is narrow and unflattering, while the “toys” ranged from fingernail brushes to emery boards, clearly aimed at the “I have dirty fingernails and want to rectify that while at the Christmas dinner table” crowd. As a bonus, the contents included a charades prompt, although if you can’t think of the name of a single TV show, movie, book, song or person without a prompt, you may want to head to a hospital. Where do ghosts go swimming? Not a bad joke! What joke will we find in the second cracker? Oh. It’s the same joke all over again. But we kind of enjoy The Big Bang Theory, so who are we to criticise this approach? Buy this if: You’re looking to start a nail maintenance kit. 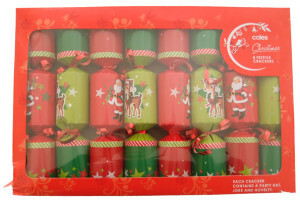 At 333 cents per cracker, Myer had to impress. On pulling the cracker apart, a brief fireworks display lit up the room, filling us with hearty Christmas cheer. 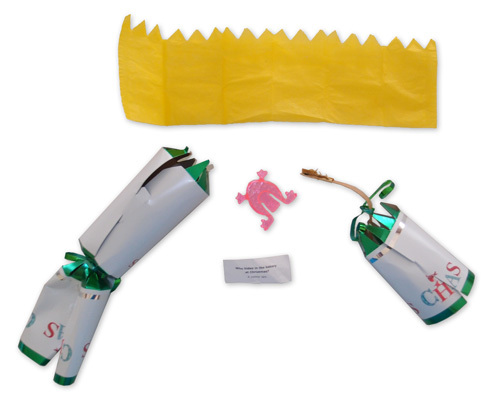 From the cracker shell fell a series of original, topical jokes by Ricky Gervais (silent ‘s’), a large Nerf gun, and an actual crown. Of course, this is not true. 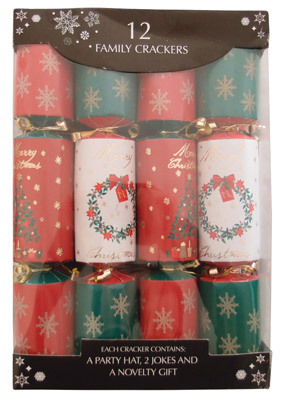 Myer’s crackers were broadly similar to the others, except that the trinkets were made of metal so you’ll feel guilty about throwing them away—despite the fact that they are entirely useless, and in our case, slightly damaged. Who is Santa afraid of? The elf and safety officer. Like the giraffe gag, this takes us to a dark place. What reason would Santa have to fear the elf and safety officer? Does his workshop expose his employees to undue risks? Fine, whatever, it’s just a pun. You groan and move on. But then you realise: these crackers are made in an actual factory somewhere, and it is the view of someone in authority at that factory that a health and safety officer is a person to be feared. Does that mean factory workers are risking their lives to make the crackers that we’re all just going to throw away on Christmas Day? 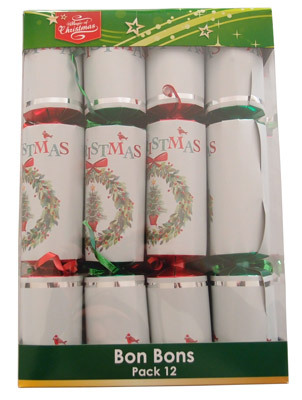 Spare a thought for those of us who have written Christmas Cracker buying guides, because we’ve just bought several boxes of crackers and torn them apart like it’s some kind of a game. Somehow we have to sleep at night. 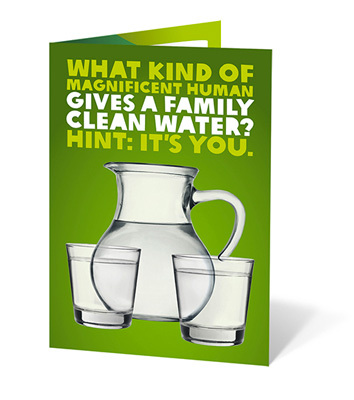 While you won’t have any crackers for the Christmas table, and your family will probably disown you for being a “cheapskate”, at least you will have helped to protect communities in Papua New Guinea from life-threatening water-borne diseases. 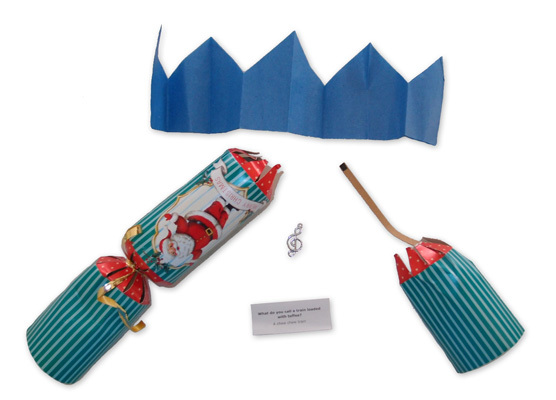 If you still want to simulate the cracker experience, shout “BANG!” while tearing the card in half, ask your neighbour what you get when you cross a sheep with a kangaroo, and hand them a paper clip. March is too early for fruit mince pies. But we have a better idea. Just because you don't have any interest in EuroVision, doesn't mean you won't be exposed to it. This fascinating tuber doesn’t have to be boring. The ultimate game of fantasy politics! Many parents feel anxious, confused or even upset when forced to fight off a horde of possessed toddlers, but you don’t have to: just follow these simple tips. Hollywood loves nothing more than making films based on public domain works. Here's what you can look forward to in 2016. Your forgetfulness is something you can fix—with a little effort.